2) to share the science. She is eager to give it away. She says: "Share it with people, because the people who can use it the most are the ones with no resources and no technology and no status and no power. Give it to them because they can do it in private. They need their bodies, privacy and two minutes, and it can significantly change the outcomes of their life." I believe everyone needs to know this information. 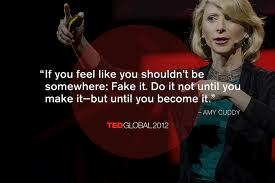 Thank you Amy Cuddy for teaching us and for the gift of giving it away! I'm sharing my review of the highlights of Cuddy's talk or if you prefer there is a full transcript following the video. How exciting to think we can change other people's perceptions — and even our own body chemistry simply by changing body positions!! And how empowering! Such important information to know which may be affecting all our communication without us even knowing the messages we are giving. To start off she asks us to change our posture for two minutes. And before doing that do a little audit of your body and notice what you are doing with your body. Question: are you making yourself smaller? Maybe you are hunching, crossing your legs, maybe wrapping your ankles. Sometimes we hold onto our arms. Sometimes we spread out. Pay attention to what you're doing right now. Social scientists are interested in nonverbal behaviour or body language and give it the name nonverbals. It is language, so what is being communicated? What is your body language communicating to others? And what is other people's communicating to you? 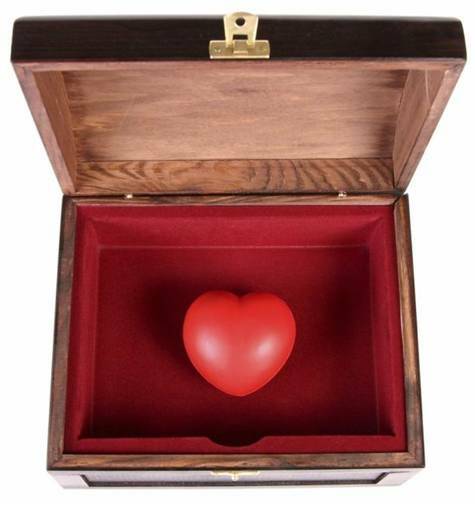 An amazing example is from Nalini Ambady, a researcher at Tufts University, who shows that when people watch 30-second soundless clips of real physician-patient interactions, their judgments of the physician's niceness predict whether or not that physician will be sued!!! So it doesn't have to do so much with whether or not that physician was incompetent, but whether we like that person and how they interacted. So when we think of nonverbals, we think of how we judge others, how they judge us and what the outcomes are. We tend to forget that we are also influenced by our own nonverbals, our thoughts and our feelings and our physiology. Amy became especially interested in nonverbal expressions of power and dominance. And what are nonverbal expressions of power and dominance? In the animal kingdom, they are about expanding. You make yourself big, you stretch out, you take up space, you're basically opening up. And this is true across the animal kingdom. And humans do the same thing. Jessica Tracy has studied the expression known as pride. She shows that people who are born with sight and people who are congenitally blind do this when they win at a physical competition. 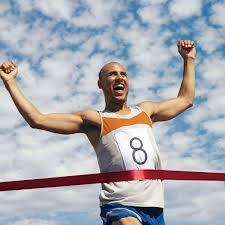 When they cross the finish line and they've won, it doesn't matter if they've never seen anyone do it. What they do is arms up in the V with the chin slightly lifted. What do we do when we feel powerless? We do exactly the opposite. We close up. We wrap ourselves up. We make ourselves small. Both animals and humans do the same thing. What we tend to do when it comes to power is that we complement the other's nonverbals. So if someone is being really powerful with us, we tend to make ourselves smaller. We don't mirror them. We do the opposite of them. As a professor and researcher at Harvard Business School and watching this behaviour in the classroom, Cuddy noticed that students exhibit the full range of power nonverbals. There are people who are like caricatures of alphas, coming into the room and they get right into the middle of the room before class even starts, really occupying space. When they sit down they're sort of spread out. And there are other people who are virtually collapsing when they come in. As soon they come in, you see it. You see it on their faces and their bodies, and they sit in their chair and make themselves tiny. She notices a couple of things about this. It seems to be related to gender. Women feel chronically less powerful than men. The other thing she noticed is that it also seemed to be related to the extent to which the students were participating, and how well they were participating. And this is really important in the MBA (business) classroom, because participation counts for half the grade. Business schools have been struggling with this gender grade gap. You get equally qualified women and men coming in and then you get these differences in grades which seems to be partly attributable to participation. So she started to wonder is it possible to get people to fake it and would it lead them to participate more? So with her main collaborator Dana Carney, from Berkeley, they created an experiment to study whether you could do this for a little while and actually experience a behavioural outcome that makes people seem more powerful. Their question was: do our nonverbals govern how we think and feel about ourselves? We know that our minds change our bodies, but she asks is it true that our bodies change our minds? Here she is talking about thoughts and feelings and the sort of physiological things that make up our thoughts and feelings which are hormones. So what do the powerful versus the powerless look like? 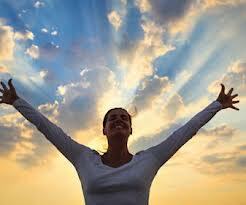 Powerful people tend to be more assertive, more confident and more optimistic. They actually feel that they're going to win even at games of chance. They also tend to be able to think more abstractly. They also take more risks. There are a lot of differences between powerful and powerless people. Physiologically, there also are differences on two key hormones: testosterone, which is the dominance hormone, and cortisol, which is the stress hormone. High-power alpha males in primate hierarchies have high testosterone and low cortisol, and powerful and effective leaders also have high testosterone and low cortisol. What does that mean? When you think about power, people tended to think only about testosterone, because that was about dominance. But power is also about how one reacts to stress. As leaders people want the person who's powerful and assertive and dominant, but not very stress reactive. As in primate hierarchies when an alpha needs to take over, if an individual needs to take over an alpha role suddenly, within a few days, that individual's testosterone has gone up significantly and his cortisol has dropped significantly. So what happens if at a really minimal level you make a tiny intervention? "For two minutes," you say, "I want you to stand like this, and it's going to make you feel more powerful." So this is what they did. They brought people into the lab and ran a little experiment, and these people adopted, for two minutes, either high-power poses or low-power poses taking on only two of the five possible poses. Here's some power poses. You can be standing or you can be sitting. This one has been dubbed the "Wonder Woman" by the media. 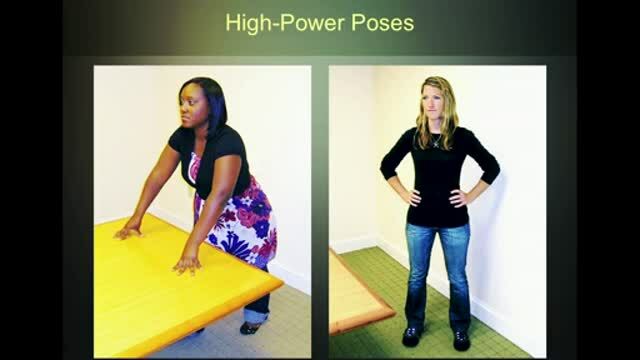 And these are the low-power poses. Folding up, making yourself small. When you're touching your neck, you're really protecting yourself and is very low-power. So what happens in the experiment is they come in, spit into a vial, and for two minutes the researchers say, "You need to do this or this." They don't look at pictures of the poses. They don't want to prime them with a concept of power. They want them to be feeling power. For two minutes they do this and then they ask them, "How powerful do you feel?" on a series of items. Then they give them an opportunity to gamble to study risk tolerance, and then they take another saliva sample. That's the whole experiment. - when they're in the high-power pose condition, 86% will gamble. - when they're in the low-power pose condition, only 60% will. That's a pretty significant difference! - low-power people experience about a 10% decrease. So in two minutes you get these changes. - low-power people experience about a 15% increase. - really stress-reactive and feeling sort of shut down!! so it's not just others. Our bodies change our minds. The next question is: can power posing for a few minutes really change your life in meaningful ways? This is in the lab. A little task for just a couple of minutes. Where can you actually apply this? Where you want to use this is evaluative situations like social threat situations. Where are you being evaluated? Like for kids at school it could be in the playground as well as the classroom. For some people it could be speaking in public like at a school board meeting. It might be giving a pitch or giving a talk or doing a job interview. Because most people have been through job interviews most people could relate to that and so they chose it. The most important message they wanted to get out is this is not about you talking to other people -it's you talking to yourself. What do you do before you go into a job interview? You're sitting down. You're looking at your iPhone or your notes, you're hunching up, making yourself small, when really what you should be doing is making yourself big. Just take two minutes. That's what they wanted to test. So they brought people into the lab, and they do either high-or low-power poses and they go through a very stressful job interview. It's five minutes long. They are recorded and also judged and the judges are trained to give no nonverbal feedback. For five minutes, nothing, which people hate. It's what Marianne LaFrance calls "standing in social quicksand." This really spikes cortisol. People are put through this job interview so they could see what happened. They then have coders look at the tapes. They're blind to the hypothesis and the conditions. They have no idea who's been posing in what pose and after looking at the sets of tapes, they say: "We want to hire these people," - all the high-power posers and also evaluate these people much more positively overall. And they didn't want to hire the others. And what's driving it? It's not about the content of the speech. It's about the presence that they are bringing to the speech. They also rate them on variables related to competence, how well-structured is the speech, how good is it....what are their qualifications...There's no effect on those things. So when she tells people about this, that our bodies change our minds and our minds can change our behaviour, and our behaviour can change our outcomes, they say to her, "It feels fake." So she said, fake it till you make it. Their response is: "It's not me. I don't want to get there and then still feel like a fraud. I don't want to feel like an impostor. I don't want to get there only to feel like I'm not supposed to be there". Cuddy then tells a story from her own history when she was 19 and in a really bad car accident which resulted in her being taken out of college and how it takes her four years longer than her peers to graduate and how powerless she feels. She ends up at Princeton feeling like she is not supposed to be there, like she is an impostor. Her first-year talk was a 20-minute talk to 20 people and she was so afraid of being found out she tells her adviser she is quitting who tells her: "You are going to fake it. You're going to do every talk that you ever get asked to do. You're just going to do it and do it and do it, even if you're terrified and just paralyzed and having an out-of-body experience, until you have this moment where you say, 'Oh my gosh, I'm doing it. Like, I have become this. I am actually doing this."'..... which is what she did do to overcome her "not supposed to be here" message she was giving herself. She had not just faked it till she made it, she had actually faked it till she became it. She had changed. Her very strong message is: don't fake it till you make it. Fake it till you become it. Do it enough until you actually become it and internalize it! And lastly - Tiny tweaks can lead to big changes. This is just TWO MINUTES she is suggesting! So before you go into the next stressful evaluative situation, for just two minutes, try doing this, in the elevator, in a bathroom stall, at your desk behind closed doors. Configure your brain to cope the best in that situation. Change your body and - get your testosterone up and get your cortisol down! Don't leave that situation feeling like, oh, I didn't show them who I am. Leave that situation feeling like, oh, I really feel like I got to say who I am and show who I am!! What very powerful information from Cuddy for people of all ages to learn. The earlier the better! How wonderful to have scientific evidence of the importance of how you talk to yourself and the influence of your posture and body position. I'm looking forward to hearing of your experimenting with different body positions to get your testosterone up and get your cortisol down. Please share!